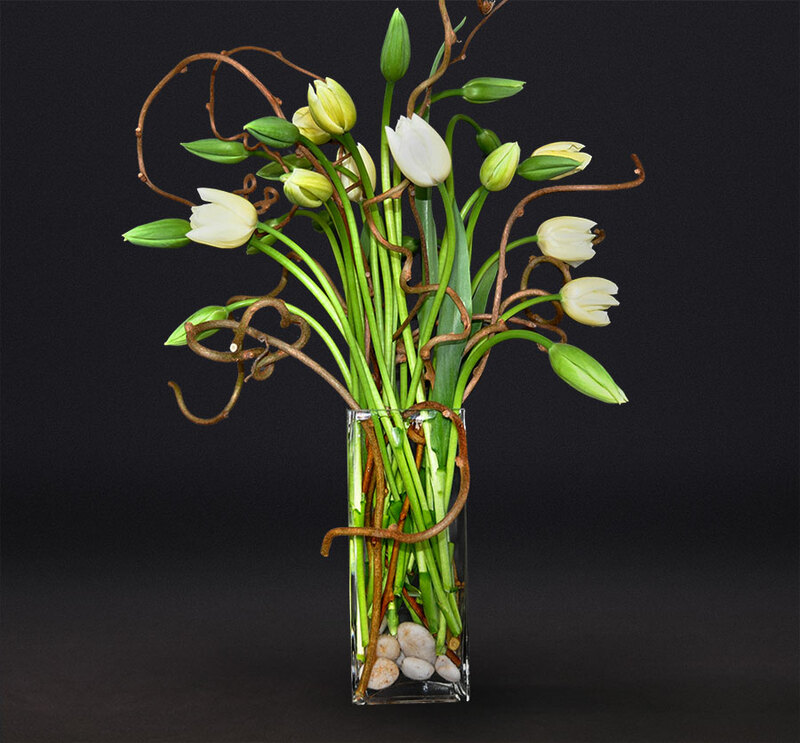 This modern architectural design accentuates the tulips long-stemmed elegance. *Please call ahead for availability. Copyright © 2013 Ultra Violet Flowers.